Our clubhouse is available for events ranging from small meetings to elaborate receptions. The 3,000-square-foot facility is located on the waterfront at the Port of Friday Harbor. We offer a large main room with a dramatic view of the harbor, Brown Island, and ferry traffic. Also included is an adjacent bar area fully stocked with glassware and a commercial kitchen for your caterer’s needs. 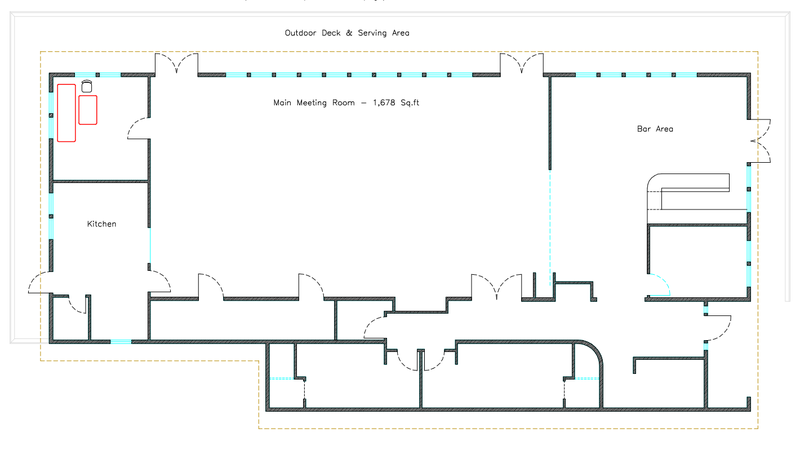 Click on the floor plan image below for a printable version.